Coline Wood is a retired KBI senior special agent having served many years as a street officer before joining the KBI. 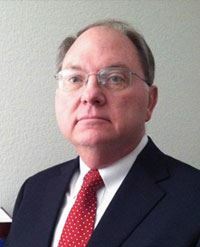 He is currently a federal contract attorney cross-designated a Special Assistant United States Attorney, and maintains a part-time practice representing local law enforcement agencies in state court forfeiture proceedings. The views and opinions expressed her are his and do not represent those of the U.S. Department of Justice. The author may be contacted by e-mail at colin.wood@usdoj.gov or colin@colinwoodlaw.net. In follow up on an issue in State v. Schooler (No. 116,636, lightly discussed in a June 27, 2018 summary): for those who have attended my Legal Issues in Car Stops class they will recall that the class ends with review of four possible resolutions to many investigative stops. In Scenario No. 1, the officer is not suspicious beyond the initial traffic offense and simply releases the car after the enforcement action, if any. In Scenario No. 2, the officer has become suspicious of other criminal activity but his/her “gut hunch” does not rise to reasonable suspicion to allow for further detention. The officer can choose to release the car or attempt to transform the temporary detention into a consensual encounter, allowing for more questions. If the driver consents to stay and respond to questions, then the officer could ask for consent to search. In Scenario No. 3, the officer has developed reasonable suspicion of additional criminal activity beyond the original traffic offense, and thus has authority to continue the detention to ask more questions and/or wait for a dog. And, the officer does so. In Scenario No. 4, the officer has developed reasonable suspicion of additional criminal activity beyond the original traffic offense, and thus has authority to continue the detention to ask more questions and/or wait for a dog. But, the officer chooses to stay quiet about the reasonable suspicion, and instead attempts to transform the temporary detention into a consensual encounter. Should the driver consent to stay and respond to questions (a consensual encounter ensues), then the officer could request consent to search the car. However, should the driver decline consent to stay or answer questions, then and only then would the officer tell the driver that the officer possesses reasonable suspicion of additional criminal activity and continue the investigative detention. In Schooler, three of the justices voiced doubts about the procedure in Scenario No. 4. Those justices believe that telling a driver that they are free to leave when they are not is a lie. Whether such a lie actually taints the driver’s later consent to stay or consent to search is a question for a future case. But, Justice Rosen noted in his Schooler concurrence that “ . . . I would caution our law enforcement officers against using the promise of freedom in any attempt to circumvent the protections afforded by our Constitution.” In response to the doubts of the Court the State might argue: if at the time of consent the driver was unaware of the officer’s intention to continue the detention (in other words the driver is unaware of the “lie”), then the driver’s consent could not have been tainted by a fact unknown to the driver. But, that is an untested argument and with the loud rumblings in the Court it may be best not to have to cross that bridge. So, for those that still use Scenario No. 4, it may be a best practice to discard Scenario No. 4 and its potential pitfalls. Simply add to Scenario No. 3 (officer has reasonable suspicion of additional criminal activity) a question during the continued detention: may I search the car? 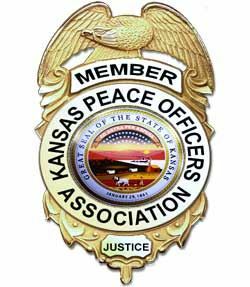 We have been expecting from the Kansas Supreme Court three cases on traffic stop law. All three came down last Friday and all three leaned heavily upon Rodriguez v. United States, a watershed 2015 U.S. Supreme Court traffic/dog sniff case (135 S.Ct. 1609). To say the least, these latest Kansas decisions have narrowed an officer’s ability at a routine traffic stop to inquire into matters not directly connected to the traffic infraction. If you stop cars as part of your duties, you will want to read and think about these cases because they are guaranteed to be the topic of discussion in your future suppression hearings. I always try to keep these summaries as short as possible and because the cases are discussed jointly by the Court, I am going to dispense with the facts and pass along only the highlights. The Court holds in Schooler that the officer had reasonable suspicion to detain the car for a drug dog, but 3 justices find potential future fault as discussed in #6 below. Jimenez holds the officer’s detailed questions into travel plans, which therefore delayed processing the driver’s license and outstanding warrant inquiries, measurably extended the stop. Lowery holds that the officer did not have reasonable suspicion to further detain the car (video did not support “extreme nervousness;” minor discrepancies in travel plans do not support reasonable suspicion; a third-party vehicle, when vehicle ownership, insurance, and registration are not in question, adds little; the destination of Colorado, when the driver’s license showed Colorado as the driver’s current address, is of no value; a vehicle’s tag showing multiple trips past a license plate reader, when there is no testimony as to the times and dates of the readings, was no evidence that the car had traveled on to Colorado; when investigating why a driver would fly one-way yet chose to drive back, the checking of online airline ticket prices for the day of the stop does not provide any legitimate information about the price of the tickets purchased on the earlier day. The following are the ordinary inquiries within the “mission” of all traffic stops: 1) checking the driver’s license; 2) inspecting the automobile’s registration and proof of insurance; 3) determining whether there are outstanding warrants against the driver; and, 4) the “negligibly burdensome precautions” for officer safety. Remember in a case a few weeks ago (State v. One 2008 Toyota) that criminal history (Triple I) is not an ordinary inquiry of every car stop. Officers should have an officer safety reason to inquire, or inquire while multitasking as explained below. Travel plan questioning “is not always within a traffic stop’s scope.” Travel plans are best inquired about while other duties of the stop’s “mission” are occurring. Questioning “within the scope of the stop” are questions with a close connection to the initial infraction under investigation or to roadway safety, i.e. ensuring vehicles on the road are operated safely and responsibly. Without consent or reasonable suspicion of separate criminal activity, inquiries about subjects “outside the scope of the stop” must be done only at the same time as the officer is completing the tasks appropriate for the processing of the initial infraction. As the Court explained, that would be known as “overlapping” efforts or “multitasking.” Otherwise, the “outside the scope” questioning unlawfully extends the duration of the stop. Courts are to review traffic stops on a case-by-case basis; a particular stop’s reasonableness of time depends upon what the particular officer did or did not do during the particular stop; how long other similar types of past traffic stops have taken is irrelevant. And, courts are to “guard” against “mission creep” referring to officers conflating the inquiries that are approved with inquiries that are either unwarranted or unauthorized. The bottom line issues in traffic stops continue to be scope of the inquires, and the duration of the stop. For criminal interdiction purposes, the best practice will be multitasking: the ability to do two things at once will help prevent a car stop from being unlawfully extended. Barring a driver’s consent or the development of reasonable suspicion of a second crime, officers should inquire about things outside the scope of the original reason for the stop only while performing the “mission” of a car stop: which is usually the enforcement of the traffic infraction. Although not a question before the Court here, I predict that the next big issue will be the intersection of the car stop’s “mission” and the speaking with passengers. To be safe, multitasking will be the word of the day there, too.